Personally, I’m not a huge convertible GT guy. When it comes to convertibles, I like them small, compact and sporty. Like a Mazda MX-5. However, there are a few exceptions, big comfy cruisers that I like quite a bit. 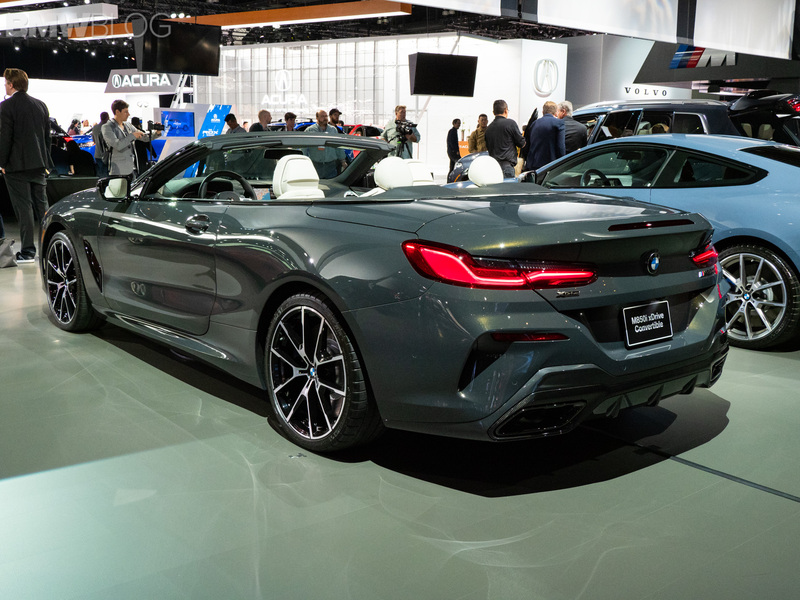 The BMW 8 Series Convertible is one such car and it looked great at the 2018 LA Auto Show. It’s a genuinely pretty car, the 8 Series Convertible. While the standard 8 Series Coupe is muscular and sporty looking, losing the roof adds a beauty. Sans roof, the 8er is prettier and more luxurious looking. Especially on those big wheels. It looks like something you’d want to cross Europe in. Top down, sun out, Ray-Bans on. One of the better parts about it being a convertible is that you can see its interior better. The cabin of the BMW 8 Series is fantastic. It isn’t as flashy or as glamorous as the Mercedes S-Class Cabrio’s, nor is it as opulent as the Aston Martin DB11 Volante’s, but it’s very handsome, sporty and elegant. It might not have a ton of flash but it’s got a ton of class. 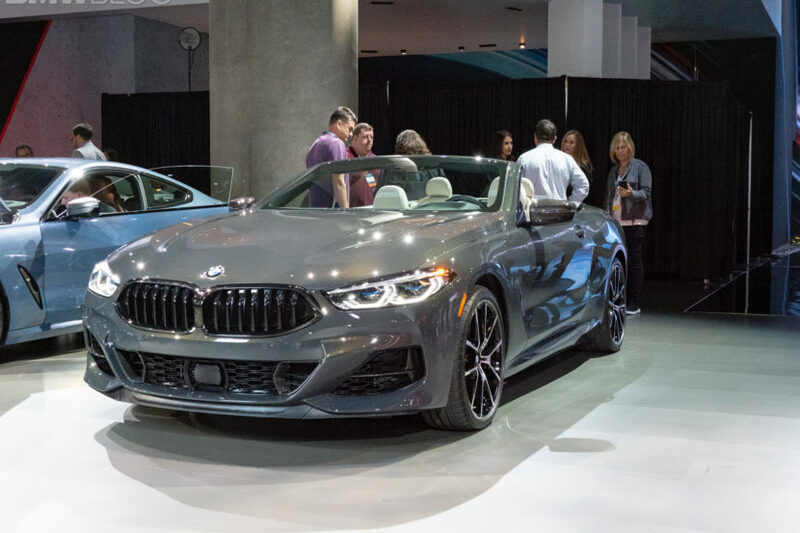 The only model on display was the BMW M850i Convertible, as that’s the only model being sold in America at first. 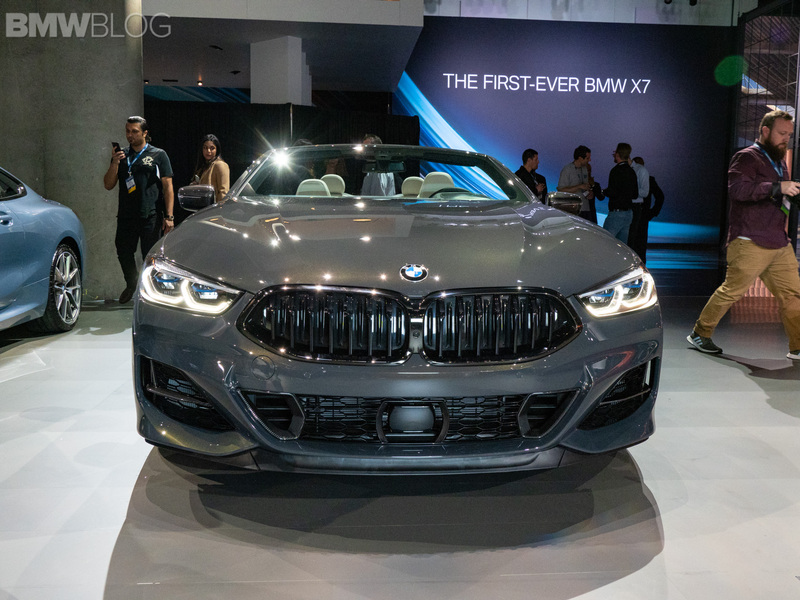 A BMW 840i will eventually debut but for now it’s just the M850i. So it’s packing a 4.4 liter twin-turbocharged V8 with 530 hp and 553 lb-ft of torque. That helps it get from 0-60 mph in the high three-second range. So it’s one fast convertible. An eight-speed auto is standard, as is xDrive all-wheel drive. Eventually, there will also be an M8 Convertible, which will pack the same 600 hp-plus powertrain as the standard BMW M8. Just, ya know, without a roof. Horatiu has already driven the new 8 Series but we can’t wait to test the drop-top version. Hopefully we’ll get some sunny weather to do so.